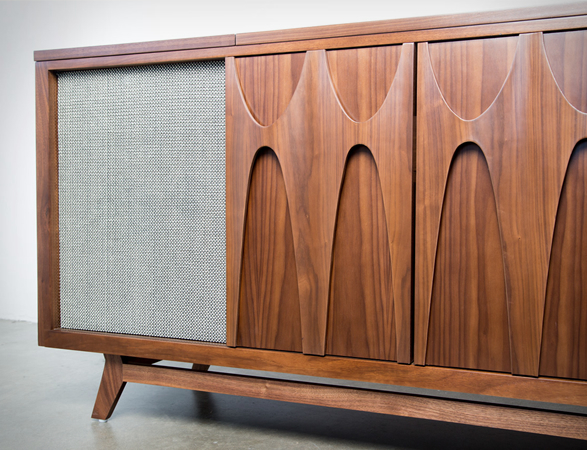 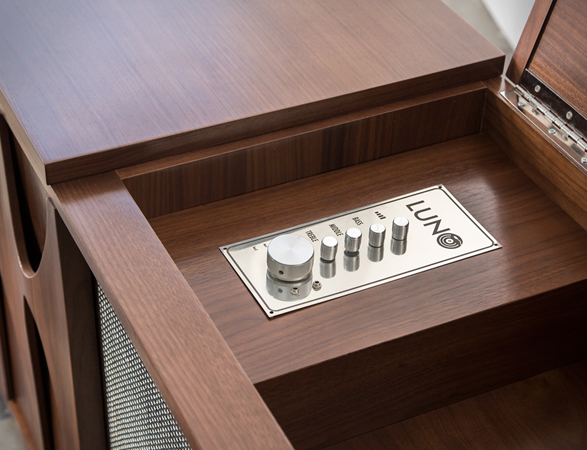 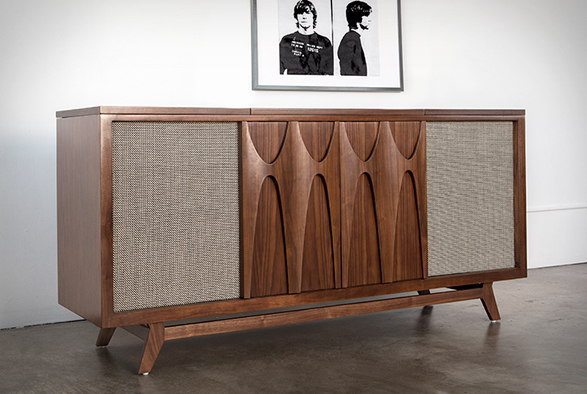 With a beautiful Mid Century inspired design, the Luno EGB2 is a timely update of the classic record console of the 50s and 60s. 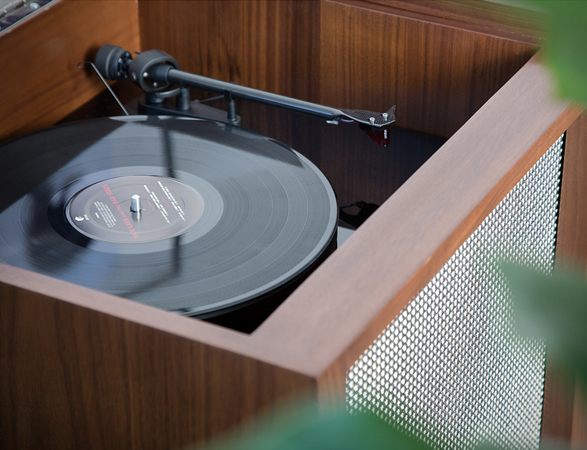 Crafted from American Walnut the stunning pice of furniture comes with a Pro-Ject Debut Carbon turntable and metal turnknob controls, a tweeter, a 6.5” woofer, a 200W amplifier, a 100W subwoofer, AirPlay receiver and two aux inputs, plus storage space for 150 records. 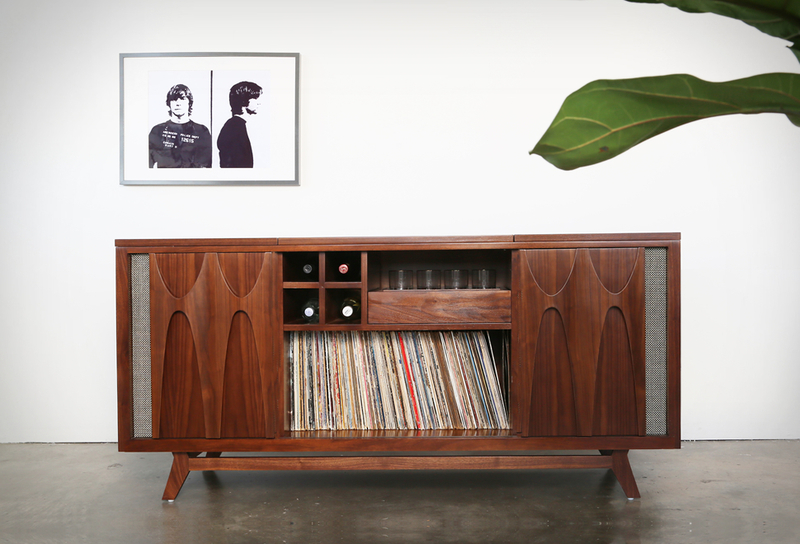 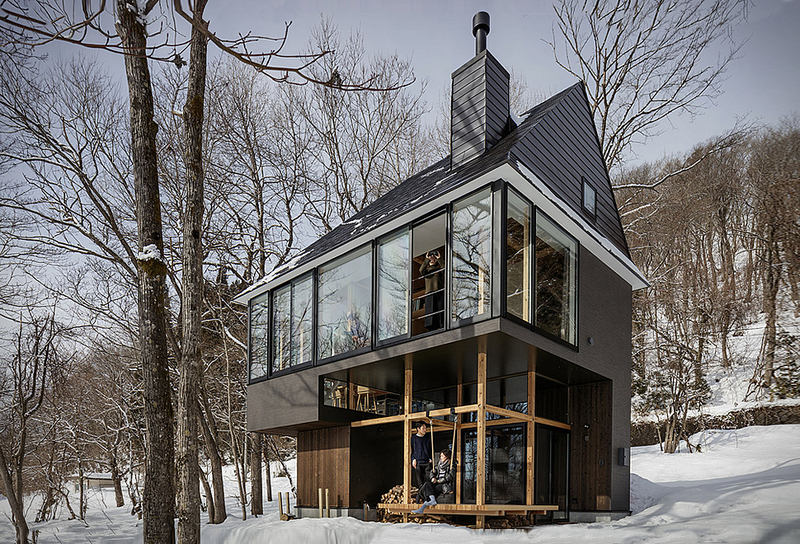 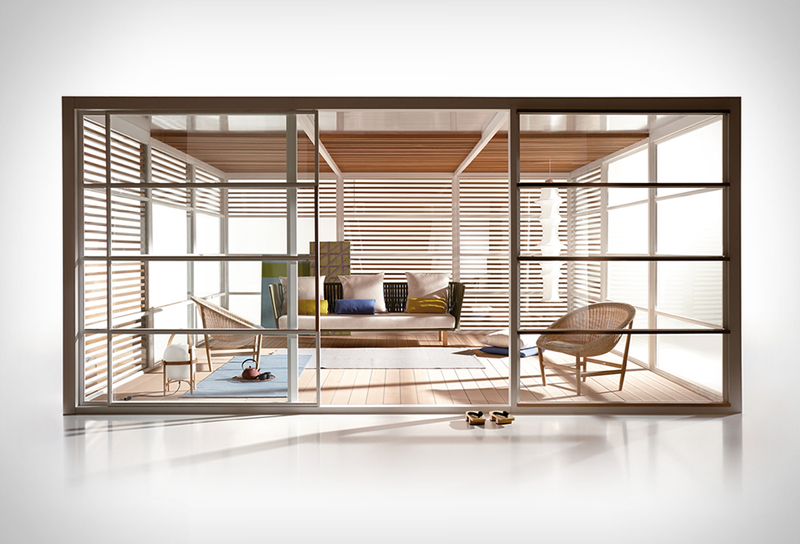 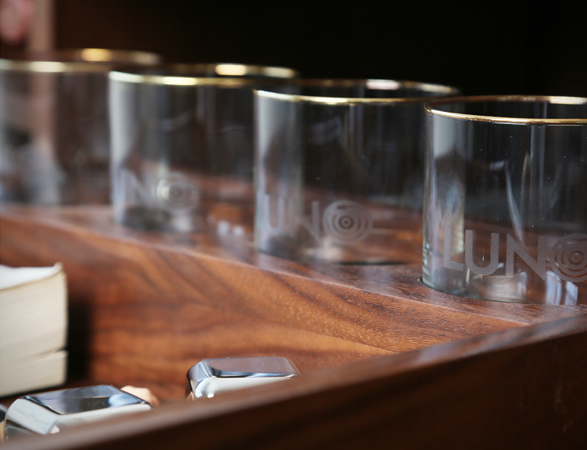 It also features a pull out minibar complete with gold-rimmed Whiskey glasses and storage space for four average size liquor or wine bottles.